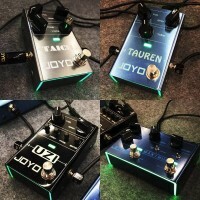 JOYO Audio UK delivers a compact and convenient way to combine the essential tools of the guitarists pedalboard that do not necessarily make a sound, but enable it to all happen. 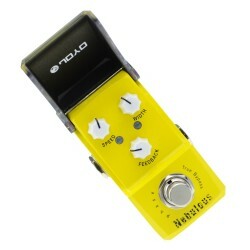 A True Bypass guitar pedal tuner and guitar effect pedal power supply. 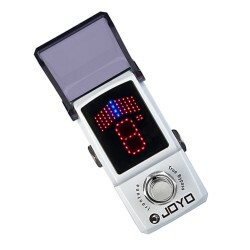 The TUNE section delivers via the large LED screen, which is easy to see in any lighting condition. Using a technologically impressive rapid chromatic tuning algorithm, ensuring fast and responsive note detection for any guitar or bass player. 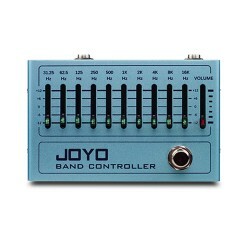 There is no need to worry about your guitar signal running though the power supply, we have made sure that there is no crosstalk noise or hum, the switching adapter does not get hot unlike many other guitar power supplies. We also include 8 DC power cords and 2 polarity reversing cables. Of course you can use the Power Tune independently, the tuner section features True Bypass circuit to minimise signal loss. Working voltage: DC9v (centre negative). Input voltage for adapter: AC100 -240v. One DC9v input, 2A input (centre negative). 9 x DC 9v outputs, 2 x 500mA, 6 x 100mA (centre negative). 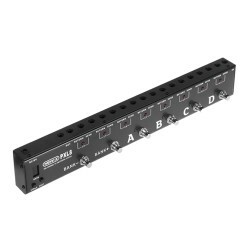 Filtered short-circuit and over current protection. 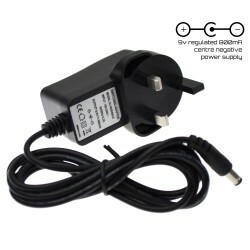 Includes JP-03 filtered UK power supply adaptor. 8 x DC power cords. 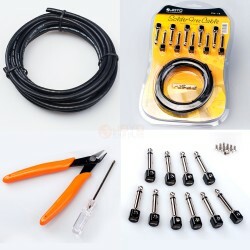 2 x polarity reversing cables. 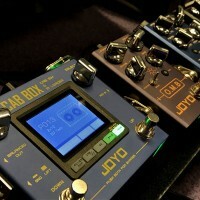 Joyo PowerTune JF-18R Official video demo. I received my powertune on Thursday. Took it straight to a eight hour gig. At the end it was nice and cool, no heat in the pedal or supply. The led screen is really large and clear, probably on of the best stage tuners I've ever seen. The tuner is accurate to my other tuners which is good. I was also surprised by the amount of accessories that came with the box. 8 Cables, a 4 plug daisy chain and 2 polarity converters.I really like the feel and look. It sits nicely above the rest of my pedals. 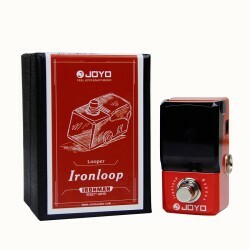 Since I use it in a volume pedal's tuner out I just leave it on for the entire time. Looks great lit up next to my BOSS DD-20 with similar appearance.What a great product!! !